Storage has never been more plentiful or less expensive. By spending as little as $50 on HDD you can add a terabyte to your laptop or desktop to store a ton of games, movies, MP3s and photos. In this ultimate guide, I have shortlisted four top-rated external hard drives to help you discover the top portable hard drive for yourself. Dive into these HDD reviews to pick the best ideal and most reliable storage drive for you. 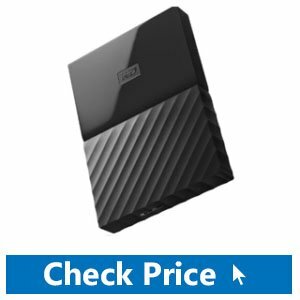 I bought the WD My Passport 2TB back in 2017 and guess what? I just love the transfer speed and it’s still working fine for me. Every hard drive offers great storage capacity but what makes WD My Passport different from others is faster data transfer speeds. This is the latest generation of the Western Digital My Passport range of data storage and weighs about eight ounces with a compact size like a passport and easy to carry in hand. If you are a professional photographer, programmer or IT guru you can take fast backup of all of your data including photos and files within seconds regardless of the files size. But don’t limit yourself if you want to use the drive for personal usage like storing games, movies or pictures as I did. This smallest and lightest hard disk uses a single cable for power supply as well as for data transfer. Equipped with a blue light which indicates by illuminating when the device is active. The drive becomes much safe due to four rubber feet in case of impact on any surface. Furthermore, WD reduced the carbon footprints by using recycled materials for the casing. Though it’s made up of plastic it’s much durable. 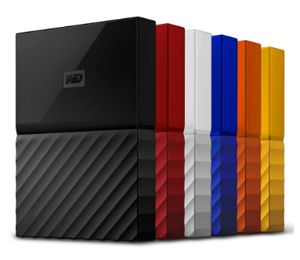 Available in different colors giving you the freedom to choose your desired color with desired storage capacity as WD is available in 1TB, 2TB, 3TB and 4TB versions with varying prices. Its simplicity makes it a terrific product. It brings a SmartWare software which presents are two separate devices when plugged in, one drive with external storage space and one drive with factory-loaded software. The intuitive visual interface makes it simple to transfer all your data and files to the drive and free up necessary hard-disk space. With the built-in software, easy installation and management of settings can be done. WD My Passport is small, lightweight, fast, reliable and inexpensive. 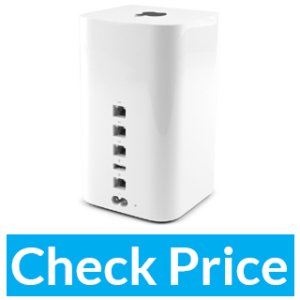 When plugged in with MAC or PC you will be served with outstanding performance, thanks to a 3.0 USB port and excellent disk controller. This solid performer offers a maximum transfer speed of 174 MBps (Megabytes per second) read and 168 MBps write(You can see the screenshot below). You get the option to set up incremental backups every time you connect the drive with your computer or with any other device, thanks to Backup and retrieval options. No more headache for the data deleted from My Passport as it can be easily retrieved including older versions of files. Furthermore, WD features cloud storage and offers password protection using 256-bit data encryption. It cannot compete for the top speeds of solid-state drives but easily beats well-known traditional HDDs. It also comes with WD SmartWare software allowing you to control the drive easily. So best companion to use with the computer on the plane, in the car, on vacation, and at home. In a nutshell, If you want Insane data transfer speeds in affordable price with huge storage capacity then this bus-powered WD My Passport is the best choice without breaking the bank. Looking for the best portable drive to extend your storage? 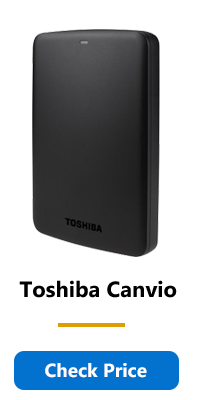 The Toshiba Canvio Basics is the best 1TB Portable Hard Disk Drive for Xbox One and PC. It’s slightly bigger in size from the deck of cards. It’s equipped with USB 3.0 ports and offers 500GB, 1TB, 2TB, and 3TB models and ready to use straight out of the box just requires plugging into your PC via it’s USB 3.0 port using a USB cord. You can also use this it for MAC and perform a reformat to make it OS X-compatible. Minutes to transfer the data depends on the size of data, You will find the files transferred pretty quickly even for the largest amount of data. It’s backward compatible means it can work perfectly with USB 2.0 technology. Offering rotational speeds of 5400 RPM and comes with an internal shock sensor and ramp loading technology which this technology helps to keep your files safe. If you want to transfer a bunch of pictures and videos from PC to the drive then Canvio Basics 1TB is the most suitable option which allows you to easily store photos and data files as well as other tons of storage with Much faster transfer speeds. 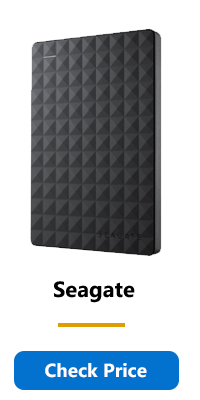 Seagate Expansion 1TB Portable is the best choice for small business owners and video editors and media professionals. They need large capacity which can copy RED footage, project files, and music files quickly and can be owned in few bucks rather than spending a dime. Compared with traditional spinning drives which take 30 minutes to an hour for transferring 100 or so gigabytes of footage, Seagate Expansion with great data-transfer speeds can move 100 gigabytes within five to ten minutes and is a huge time-saver as well as money. It also has desktop drive version but we are referring to the portable version here. It is available in 1TB, 2TB, 3TB and 4TB models, and comes pre-formatted for Windows computers. Similarly, can be used for Macs but requires formatting which is just a few seconds task. Quick note: Buying a drive pre-formatted for Windows is way cheaper instead of getting storage for your Mac which is purely Mac-designated and more pricier. Max capacity for this drive is four-terabyte and we are not sure if users want the five terabytes version or the company will produce one. Regardless of the capacity, these drives are the same measuring 4.8 x 3.2 x 0.6 inches and weighing 6.4 ounces. This small, light and portable hard disk can easily fit in your bag while going to a business meeting or for a regular walk. If you want to know more about the mechanical working of the drive then it spins at 5,400 RPM as opposed to those faster 7,200 rotations per minute models. But still, the performance is respectable with 120MB/s for writing and 130MB/s for reading. Speed is a bit slower but that also results in lower power consumption. Conclusion: If you are up for buying the best portable storage for heavy-duty or high-end tasks which is easy to set up and use then Seagate Expansion is the most recommended choice in the market. You must be thinking how durable storage can hold the data securely for long periods of time?. In some cases need to put your drive in your backpack along with other equipment in the bag and running along the backpack might toss the device up and forth which can lead to split, the cracked scenario for some plastic drive. Here we have Silicon Power Rugged Armor A60 Military-Grade one-terabyte drive which is best in terms of durability and is shockproof as well as waterproof. So forget about drive abuse, this will last longer externally as well as internally. Few people even say it’s bulletproof. This one-terabyte version is hard to dismantle. The reason why it’s the safest and strongest drive is the silicon material textured casing all over the edges and on the sides. You will also be amazed at the impressive read/write speeds made possible with USB 3.0 technology. This modern technology helps to deliver blazing fast transfer times. Compatible with Macs and Pcs. Brings a data backup and restore software called SP widget which simplifies the tasks. Equipped with AES-256-bit encryption for data security and cloud storage for efficient data management. The biggest capacity version is 5TB comes with a three-year warranty for any kind of service and technical support. Compared with couple bucks cheaper Silicon Power is most-efficient and best-budget option. Overall, travelers or those who are mostly on-the-go will find Silicon Rugged the best companion as it’s water-resistant(IPX4), drop-proof(up to 122 centimeter) slip-proof, scratch-proof and shock-proof. Don’t even think of it getting damaged. Our editors recommend this Nokia brick phone of external hard drives. Seagate Backup Plus 4TB Hub. 8TB Western Digital My Book (self-powered). G-Technology G-DRIVE USB 3.0 4TB. Looking for a best HDD for MacBooks to expand your storage? 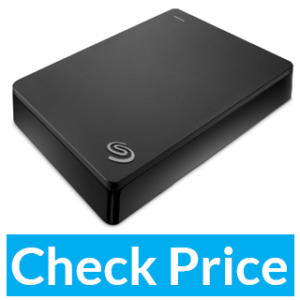 Seagate Backup Plus 4TB is the fantastic option with a lot of storage space and available in the great budget. In terms of portability, Seagate is the top choice. Smaller size makes it fit easily in the pocket and take along with you while you’re on the go. Furthermore, this 4TB storage is compatible with Apple Time Machine, making it an excellent storage drive for those having MACs. Just download the Seagate Dashboard software on your laptop and you can drag and drop important documents, personal information, movies, video files, songs, photos or other important data. 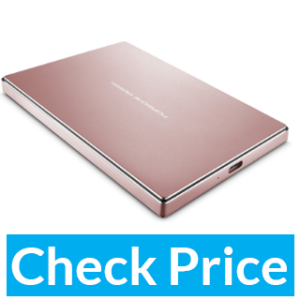 It comes with a sleek portable silver design which is totally similar to your Macbook and connects with high-speed USB 3.0 connectivity. Similarly, offers cloud connectivity and social media backup, which makes it great for YouTubers who keeps dealing mostly with large video files and need backup drive as well as photographers with many pictures on Flickr. Seagate Backup Plus doesn’t even require extra power supply, just connect via USB and it’s plug and plays and ready for storing data. Moreover, Seagate 4TB HDD comes formatted for Mac and Windows right out of packaging saving you from lengthy setups or stressful formatting procedures. The package box weighs is lightweight and weighs about half a pound and is 4.5 inches long, compact enough to slide easily into a carrying bag. It’s also available in three smaller sizes in case you don’t want 4TB model and can order your desired volume model. Conclusion: If you want serious extra space for you Mac then this 4TB portable solution is the most suitable choice giving a good chunk of space and is worthwhile for the investment you will make. You know very well that PS4 games have large install sizes and adding more digital games from PSN or free PS Plus games will result in storage shortage and for that, you have to upgrade your storage with bigger 1TB, 2TB or even 4TB drives. Standard PlayStation HDD is mostly of the 500-gigabyte model. You need 8TB model if you want to quadruple the space on your PS4 and 4TB version to triple your PS4’s storage space. The reason you should get a new PS4 storage with bigger size is that it can easily hold 12-15 full-sized games. You know latthe est high definition games have download sizes to be between 30GB-50GB, which require plenty of storage on your PlayStation. But massive storage can also affect their performance. We have listed some standard PS4 storage drives with huge storage space and get comfortable for your online games like Destiny 2, Elder Scrolls Online. We have listed SSD (solid state drives) which helps faster and quicker game loading compared with HDD or SSHD(solid state hybrid drive). Though SSD’s are higher in price you get premium long-term storage worth for the money. So best gaming experience requires tremendous storage capacity and you can upgrade your PS4 storge with the hard drives given below. WD 2TB is the best-selling most popular PS4 storage. This affordable backup drive offers a lot of space and allows you to store your favorite games, high-quality photos and other content. Similarly, it’s thinner and less heavy than many other PlayStation 4 drives like Seagate Expansion. As the hard drives need to be formatted before they could be used for PlayStation box, WD would be ready in 5 seconds to be used and might take few minutes to transfer speedily your important data. If you are going to use this as a dedicated PS4 drive then it’s a perfect choice for maxing storage and affordability. If your firmware console has a model number lower than CUH-1200 then it can handle 4TB and if the model is above CUH-1200 it can deal with the 8TB model. Drives with such higher capacity can be used for simultaneously installing several hundred games. If you are playing games while they are running on this good-looking portable HDD or on the PS4 internal disk you might not feel any difference. With that said PS4 owners can play all the games they want without any frustration or having to delete or reinstall their favorite games. Recommended choice if you want your data to be moved in moments. Overall, WD 2TB can handle your game collection forever and has an enclosure to attach with console making it one of the top-value ps4 HD. Buy this gaming drive now and Say hello to storing endless videos of your Fortnite Battle Royale near-misses. 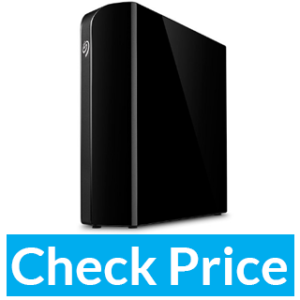 The best HDD for Xbox one that we think is the best is Seagate Backup Plus. This is fast drive and best Xbox One Storage. Giving improved loading times on many games this drive is both charge and sync. Generally, Xbox One Consoles are 500GB to 2TB the games these consoles have to deal with requiring hundreds of GBs to run so having insufficient storage won’t make it possible until you get this eight terabyte HD for your Xbox One. This eight-terabyte device is twice as fast as four-terabyte backup drives by well-known brands and much faster compared with a number of USB 3 thumb drives. Equipped with a built-in hub allowing it to connect two more devices externally with this one (daisy-chaining, in effect). Furthermore, it adds a couple of USB 3 ports rather than purchasing a separate hub. You can use this as a primary drive using USB port and it should be formatted for pictures and music as well as for games. Don’t worry formatting won’t take much time. For your information average Xbox One game takes about 22 gigabytes of install space and the largest is Forza 6 with pretty much all the expansions at 63 gigabytes. Why makes external storage solution better than Xbox One’s internal drive is that they are plugin-and-play, significantly faster and much better drive. So now play Forza and Tomb Raider or install any game hit the play when you have a best storage drive for xbox one. 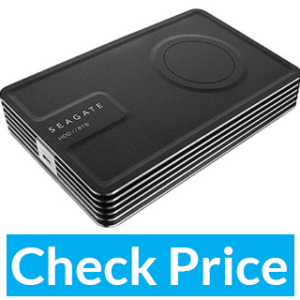 Seagate Backup Plus Hub is among the expensive HD. It’s equipped with SMR (Shingled Magnetic Recording) drives, in this way same space acquires more physical bits of memory instead of decreasing the size of the bits. Comes in 3Tb, 4TB, 6TB, and 8TB versions and all of these models are fast and flexible. 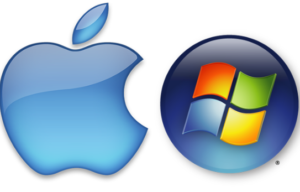 Comes preformatted for Windows and can be used with Mac using NTFS drives for Mac so technically could be used for Windows and Mac and won’t require reformatting Mac computers. Equipped with two integrated high-speed USB 3.0 ports at the front side calling you to recharge the other USB devices. With the software, you can schedule automatic on-demand backups as soon as the drive is connected. Instead of getting hot it runs smoothly cool and conveniently quiet. If you are satisfied with this drive you can pick your favorite one from the list given below for Xbox One. A snag to desktop storage is that they are bulkier, louder, draw more power, and require a separate(power supply) AC adapter for power. If you are looking to extend Xbox one storage then this smaller and easier to use drive with noticeable performance is the perfect storage solution. 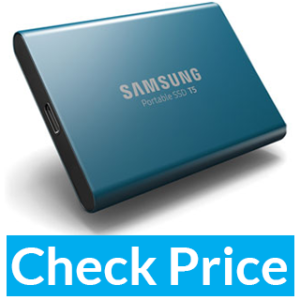 Why Samsung T5 portable SSD is the most demanding drive is the amazing speed, security it provides to the professionals are ready to spend good amount for this shock-resistant solid state drive as it’s not included in the inexpensive drives instead top drive in expensive drives list. The metal design makes it extremely durable, portable and the compact size makes it fit easily in the palm of your hand. Metal frame protects the drive from bounces and drops. Samsung T5 maintains the security using AES 256-bit hardware encryption along with the durable build this HD is unbreakable and will keep the files secured in case the drive is lost of stolen. Samsung T5 uses the latest generation of Samsung’s 3D V-NAND technology and what makes it one of the best speedy portable drive. Nothing beasts this extremely fast portable drive. Also, it’s great design will make it a best externally connected SSD. Get it now for instant data transfers when you are in a hurry. Though the drive is available in ranges from 256GB to 2TB which is pretty impressive but do consider the price tag rising along with the storage capacity. This storage device offers whiplash transfer speed with maxium transfer of up to 540 MB/s which 5x faster compared with the fastest external HD making it one of the best tool for moving 4k videos as well as high-res photos. Equipped with USb 3.1 Type-C and Type-A ports alloing Apple and Android users to take advantage of this blazing fast drive. With rapid increase of downloadable games need for extra storage has rose impressively. U32 ShadowUSB HD is a plug-and-play drive having no compatibility issue with Xbox One and comes with USB 3.0 connective device. What you have to do is plug the storage into a USB port of your console and get ready to gain access to all of your files within seconds, either way, import the whole game library in the drive to take it to a friends house. In 1TB capacity you can easily hod 250,000 songs, 650,000 photos and 500 hours of video. 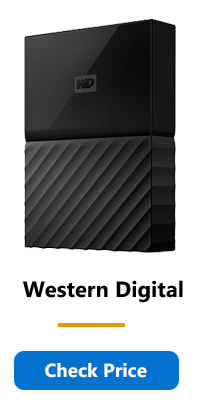 You get three-year warranty of this small black stylish drive. 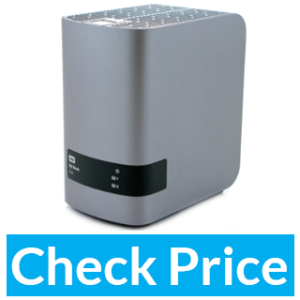 This tailor-made HD with OS X to automatically backup all of your files onto a 2TB storage unit. Backed by a Wi-Fi 802.11ac technology, this drive can automatically detect your iPod devices,iPhones, connected MacBooks, Apple TV, iPad and save your files in real-time. An impressive beamforming antenna array has long range and makes sure that all of your important files are brought in for backup. You have option to connect any device via USB, this tremendous flexibility to store files from old devices is flawless. This drive has a minimalist and modern design best for home or office. 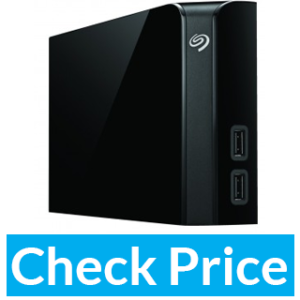 Buffalo MiniStation is a lighter and more portable low price 2TB model and best option for little money. Costs lot of storage per dollar hence the cheapest storage available. If you want long-term and long-lasting drive then this great choice will look great on your desk and every byte of storage will be worth for the money. 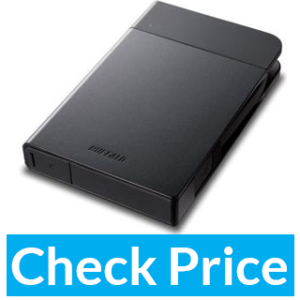 Allows you to transfer your files easily and quickly by tapping the NFC card supplied with it onto the drive’s body. Recommended option to go cheaper storage. Adata SD700 is a high-speed solid-state drive with USB 3.1 technology allowing sequential read/write speeds of 440MBps /100MBps respectively. 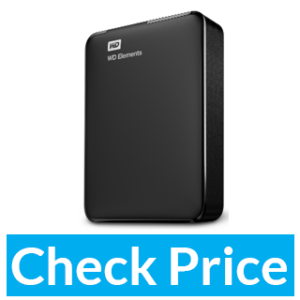 The big selling point is its toughness and proves that it’s the top-end photo backup solution. 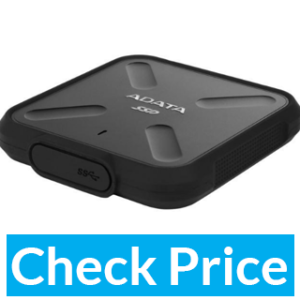 Adata is a reliable brand offering SSD drives of 256GB, 512GB or 1TB. This superbly perfect drive is IP68 rated. The SSD inside this HDD is way faster than the traditional spinning HD offering great transfer speeds along with the rugged protection. Available in larger capacity ranges gives you the freedom to pick whatever the capacity you want removing the limitations of limited storage capacities of SSD’s. WD My Book is a beast in the line of HD, offering a huge amount of space with RAID support makes it one of the largest capacity drive available but with an expensive price tag. If you care most space then this huge 16TB of storage space over two HD is the best choice. Allowing you to arrange drives in RAID array without sacrificing ample storage space and this arrangement will have file backups of your files if one of the drive dies. 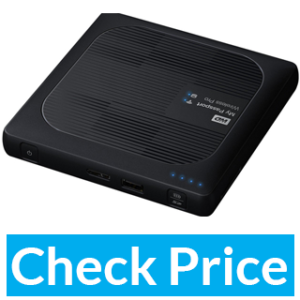 This high price and volume drive is best for NAS (Network Attached Storage) and having a router with a USB 3.0 port will make this as network attached storage device right on the point. 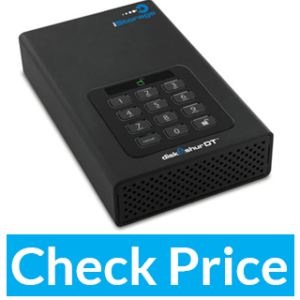 Offers two-year warranty and a 256-bit AES hardware encryption as well as automatic backup software (WD Smartware Pro). The enclosure is fully serviceable and the drives come Pre-formatted for Windows users. OWC ThunderBay 4 Mini is a wonderful to pick for large files, videos, and other important documents when you want to transfer them this drive will do it fastly that’s why it’s an excellent storage solution. 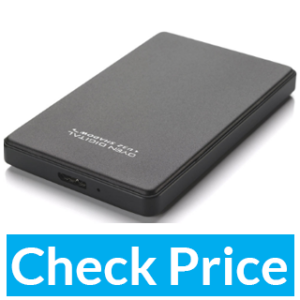 It supports up to four 2.5-inch drives, and you have the option to buy with SSD’s already installed or as an empty enclosure. Equipped with Thunderbolt 2 ports for an extremely quick read and write speeds, allowing you to edit files on the OWC ThunderBay 4 Mini’s HD very smoothly and quickly like they are located on the internal HD. You have the option to daisy-chain a number of OWC ThunderBay 4 Mini together with the help of Thunderbolt 2 cables in case of more storage. This brilliant HD can be used on any type of computer. This ultimate portable storage device is available in desktop version has normal-size 3.5-inch and works without any power supply. You can use it only if it’s powered by a USB Type-C connector and allows the customers to move the staggering amount of data withing being tethered. Innov8 is a Fast, rugged, compact and future-proof meta-design keeps the drive cool in when the drive is performing high-end tasks. If you want quickest and most capacious compact data storage then Innov8 can give you absolute performance combined with ease of use to op with small business or one’s working in the creative industry. Get your hands on this elegant HD available at affordable price. Use with desktop or laptop Seagate Backup plus is ready to rock, available in different storage sizes ranging from 1TB to 8TB and in this review we are covering 5TB desktop drive version. Gives an amazing read and write speeds, not the high-speed storage drive but comes in the list of faster drives. 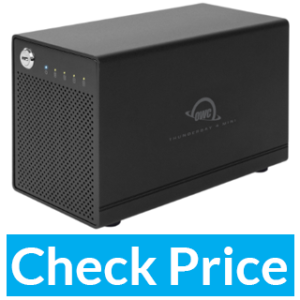 This reasonably priced model gives the best performance for the money, beyond the storage and speed offers decent space with lower than average failure rates with such bigger capacity hard drives. You can take backups with included backup software as the drive is compatible with Windows and Mac and comes pre-formatted for windows or you have to mention if you want Mac-specified drive before buying. Few consumers might find this expensive drive but if you want storage space, speed, portability, and reliability then this is one of your favourite USB-compatible drives. You have gone through HD with common features like speed, security and reliability this drive goes beyond to that offering Wi-Fi feature. Western Digital has brought this HDD which has completely different design than their other models like My Passport Ultra or My Passport for MAC. This premium feel makes My Passport Wireless Pro-worthy. You might feel like it’s a DVD drive, but considering the onboard SD card slot(and a dedicated SD transfer button), don’t confuse by comparing it with others as it’s the top choice for photographers. Equipped with a massive 6,400mAh battery built into the device. Due to this, the drive can be used completely free of wires over 2.4Ghz or 5GHz channels. As it only supports USB Type-B to Type-A connection so don’t get ultra fast speed with latest and greatest USB-C connection as it’s not present in this drive. If you want a wireless HD or SD cart support this one is essential to drive at an affordable price. LaCie Porsche Design Mobile Drive 4TB is another drive with great design but the expensive price tag. The reason why it’s expensive is the advanced technology it uses which is USB Type-C to transfer data at super fast speeds. Similarly, comes with other USB Type-A or USB Type-B connectors giving freedom to your setup. If you really want a top-end 4TB drive this one is the most authentic choice and the reason is nothing but the amazing output speeds of up to 5Gbps without limitations of SMR (Shingled Magnetic Recording) technology. Contains five 800GB platters in a 15mm form factor this mobile drive is an excellent challenger to other bigger and more bulkier HD as it’s perfect both in weight dimension. Brings an extra convenience factor as a USB-C but it’s still limited to USB 3.0 speeds. Its aluminium finish might create the clash with your Rose Gold MacBook. Other than that Porsche is the best USB-C HDD money can buy. iStorage diskAshur is a best secure disk with 2TB capacity and USB 3.0 interface. This drive is logically as well as physically secure and it’s rugged design keeps it protected from any kind of bounces or impacts. We have seen governments and multinational organizations around the world using this hard drive as it’s tightly secured. It can be set to self-destruct if anyone tries to tamper with it. Compatible encryption software makes the data encrypted by the 256-bit AES protocol, with multiple forms of protection preventing bad guys to get in no matter how persistent. With all these security measures this drive has no price, though it’s expensive four times the price of an equivalent 2TB drive but see another side of the mirror as you are paying for a product that’s virtually uncrackable. In case thing messed up or you lose your password manufacturer won’t be able to help you. So get your hands on this top-tier external storage drive to get some extra file space along with complete security. Before choosing the best external hard disk you need to be clear about your purpose and the type of HDD you want. Are you a game geek looking to increase the storage capacity of your Xbox One or PS4? Or a photographer who mostly deals with high-resolution images and video files? 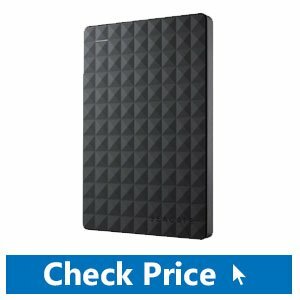 Are you a regular computer guy looking for a backup drive for your MAC and PC? Let’s figure out what you need to look for in a storage drive. The first feature to look at is the ability of a hard disk to safely store your data or backups. Second, consider the storage capacity you need. Hard disks are available in large capacities ranging from 1TB to whopping 8TB capacity. But consumers tend to buy the best 1TB external hard drive most of the time. You need to see data transfer speeds, When moving a lot of large files to your external HD it should be speedy rather than making you wait for minutes or even hours because those who do bulk transfers need to move data quickly. And finally, the design, are they shock-proof? or water-resistant? Having robust design makes them stronger to bear impacts. After considering these points you can choose storage solution which is safe, speedy and can move documents or large file sizes quickly. Above we have reviewed a huge range of storage drives to help you pick when you ran out of storage and pick a dependable and reliable drive and pay for the storage you want. Choosing the perfect drive won’t be a problem for you now. If we compare SSD vs HDD then Solid State Drives will surely win because they are faster, durable, more reliable. Be prepared for the expensive price tag for small storage capacity while hard drives have the minimum cost per GB(Gigabytes). And the biggest advantage of these spinning trays? Their storage capacity, you can store Terabytes of data in HD and that won’t cost you a dime if compared with SSD’s. Nowadays you can easily add a terabyte (Tb) and increase the storage of your laptop or desktop. This less expensive option allows you to house hundreds of movie files or hundreds of thousands of MP3s or photos. Either you have huge desktop towers or budget-price windows tablets or any computer you can buy a HD because they can connect at least one HD without worry of any complex installation required. You can add more drives to your machine if you have multiple I/O ports. Now if you think Which are the top hard drive? and which to choose? Here comes the secret recipe for buying the top-notch storage. There are broadly two types of external drives, Desktop-class drives and Notebook-class drives. Desktop drives are equipped with a 3.5-inch mechanism inside and also require a power adapter. These drives are designed to stay in one place mostly on your desk at home or at the office. Usually, desktop-class drives are used for high-end tasks like gaming, video or lots of file transfers so consider buying a desktop-class drive having a built-in cooling fan to extend the drive’s life expectancy. Notebook-class drives have a 2.5-inch mechanism which takes power through the connector cable. These 2.5-inch model hard drives are smaller in size and can easily fit in palm, coat or pants pockets. You will see the top capacity of 8TB per mechanism in Desktop-class models, but manufacturers increase the storage by putting a number of mechanisms into the chassis like two 4TB drives for a total of 8Tb storage. Similarly, Notebook-class drives top at 4TB and ranges in capacities from 500GB to 2TB in most common. Adding more drives into a mechanism to work as one is called a RAID array, though they increase capacity, speed or data protection multiple drives add expensive as well as complexity for management. After you connect a single-volume external RAID array to your PC or MAC and you can see the drive will show and act like any other drive does. After that, it will become more complex. 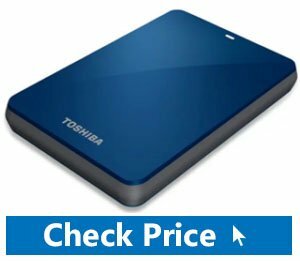 While buying such types of hard drives go with support for RAID levels 1, 5 or 10 in case you are storing really important data which you cannot afford to lose. Similarly, there are other RAID levels for speed, capacity, software and hardware RAID implementations. 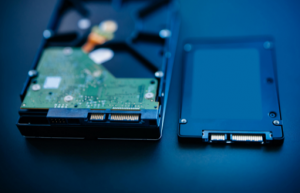 Furthermore, SSD or Solid-State drive is another type of storage and uses a certain type of flash memory to store data rather than spinning platters. 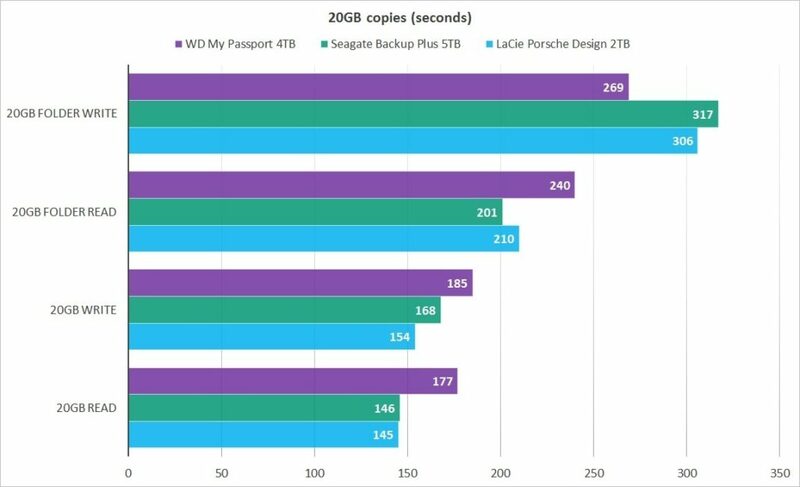 SSDs are faster most costly compared with HDD. If you want to know how HDDs and SSD’s compare then keep reading we covered SSD vs. HDD later in this article. You can use cables with hard drives to connect to PCs and MACs and mostly there will be USB 2.0 and USB 3.0 ports. The new connectors like USB-C allow much faster transfer speeds even more than 3.0 which has a limit of 5Gbps theoretically. USB 3.0 is backwards-compatible and typically all desktop and laptops PCs are equipped with USB ports. The limit of the newer USB-C standard is faster like 10Gbps technically twice the USB 3.0 and works with smaller and more convenient USB-C connector. You can see this port commonly on inexpensive drives. There might exist older SATA (eSata) or FireWire ports on various devices but cannot reach the speeds that USB 3.0 or USB-C can. Thunderbolt and Thunderbolt 2 makes use of Mini DisplayPort connector and gives 20Gbps faster speeds, but USB-C with Thunderbolt 3 gives a blazing throughput of 40Gbps (if your computer supports the technology). The first users of Thunderbolt 3 with USB-C connector were Apple’s MacBook Pro laptops with this only I/O option and they have spurred wider-spread option of USB-C from the past two years. Be assure as many cheaper Windows laptops with USB-C connectors do not support Thunderbolt 3. We have only included external drives having USB connectivity of one sort of another, but make sure from your end the drive is compatible with your computer. Several USB memory sticks and hard drives are currently available with USB 3.0 and USB-C support with their separate connectors. There are several other adapters allowing you to connect older USB drives to PCs with newer USB-C ports. Generally, hard disk drives run at 7,200rpm and 5,400 RPM and both interchangeably are faster depending upon the ports used to transfer data. If you are using an interface like USB 3.0/USB-C or Thunderbolt to move a lot of files then the 7,200rpm drive is the option to choose. 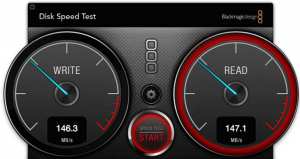 If the interface is limited to USB 2.0 or FireWire then choose the speed for capacity by picking largest 5,400rpm drive being in your budget. Older interfaces work well with the 5,400rpm drive. But if your goals are all-out speed then consider multiple drivers with Thunderbolt 3 for the fastest setup but costliest or a single SSD connected with Thunderbolt 1/2 or USB 3.0/3.1 will be the option. Past had been all about KB(Kilobytes) drives like floppy disk and compact disks. For a moment think about a hard drive which is a reliable, fast and most secure drive but looks are not good and sitting with a client or in an important meeting with that drive might leave a negative impact. Though the look is not important compared with other factors you cannot ignore this easily, do you? That’s why a number of drives by different brands comes in different colors making you completely choosy for the colour you like. Drives boast a software which allows taking local or online backups. If you are using the storage drive as an extra storage container or there is already a backup software built into Windows or macOS, software included with the drive is not important for you. Warranty of the drive is also an important factor. Though the manufacturers claim the drive to be reliable still mechanical drives can fail anytime. Sometimes deals site offer cheap drives with a one-year warranty but go with a drive having a three-year or five-year warranty if you really care about your data. So picking the right add-on backup/storage solution with a variety of prices and capacities is not an issue for you as the above list given solves your every problem related storage. So either you have big media collections or you are a multimedia professional or a student looking for an affordable storage for your photos, music, videos, and more in form of spinning disk versions then get your versatile external drive with super-fast speeds and biggest capacities and smaller sizes without taking much room in your pocket as a short stack of credit cards.